I slept through the whole night last night. Tears of joy people, tears of joy. UNTIL, the big dog decided to wake up at 5:30 and whine until I got up to feed her. Snob. 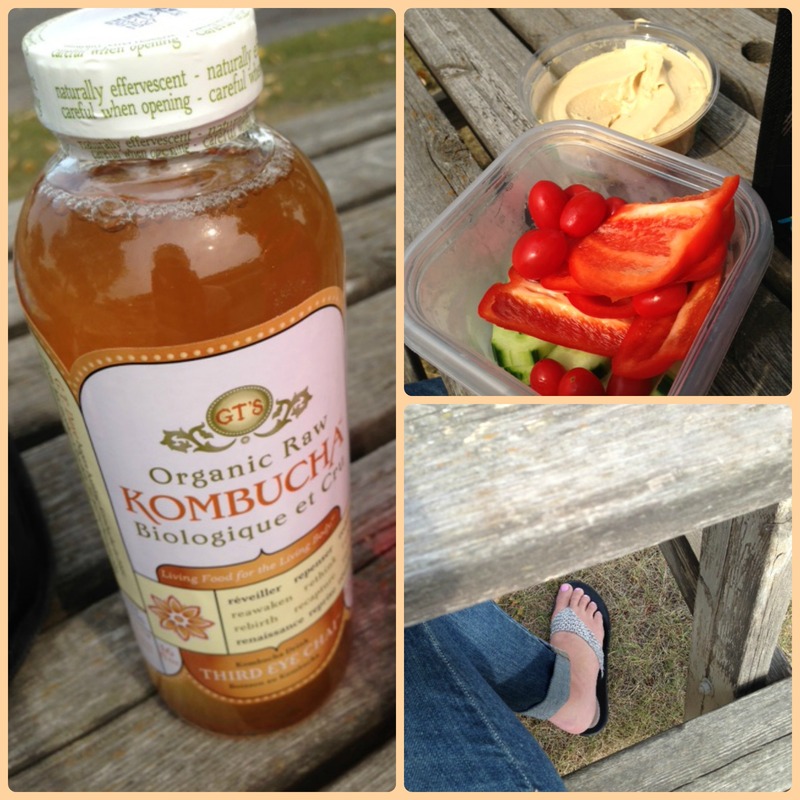 Lunch was enjoyed on the picnic table right outside my office. Um yes, this is my new favorite flavor of kombucha. Also, I opted for just veggies with hummus at lunch today because my previous lunches were really upsetting my stomach- more so for the reason that I was eating the meal and sitting all day. If I were moving around, the meal would settle a lot better. Took an alternate route home (still figuring out which is the best on certain days/times of the week). 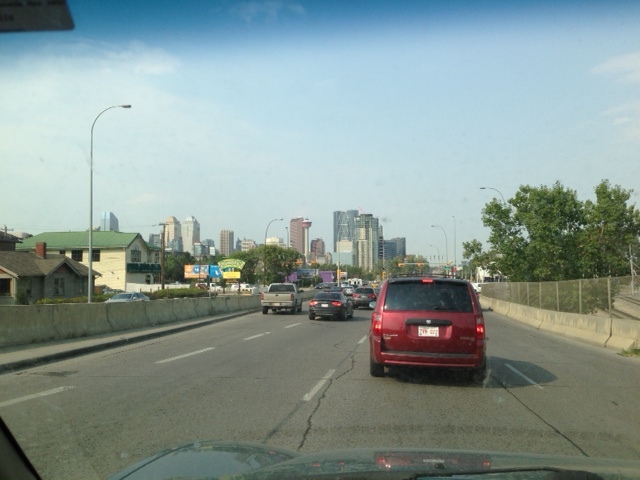 Who would’ve thought it was faster to drive THROUGH downtown? Crazy, I tell you. Last night, I was signed up for a 7:45 yoga class, but when I got to the parking lot, I saw that over half of the lot was closed off for paving- they’ve been working on this lot for over a year, I swear. There was absolutely nowhere for me to park, so I drove back home. And obviously cried, because I get REALLY frustrated when my workouts are interrupted. After sitting at home and pouting for about an hour, I headed over to the gym and busted through some circuits and HIIT on the bike. I was grumpy throughout the whole thing and almost cried again when I got home. Lame, I know, but working out is my thing and I hate when/if it’s taken away from me. Tonight, I’m heading back over for a later class, so I hope I’ll be able to find some parking. 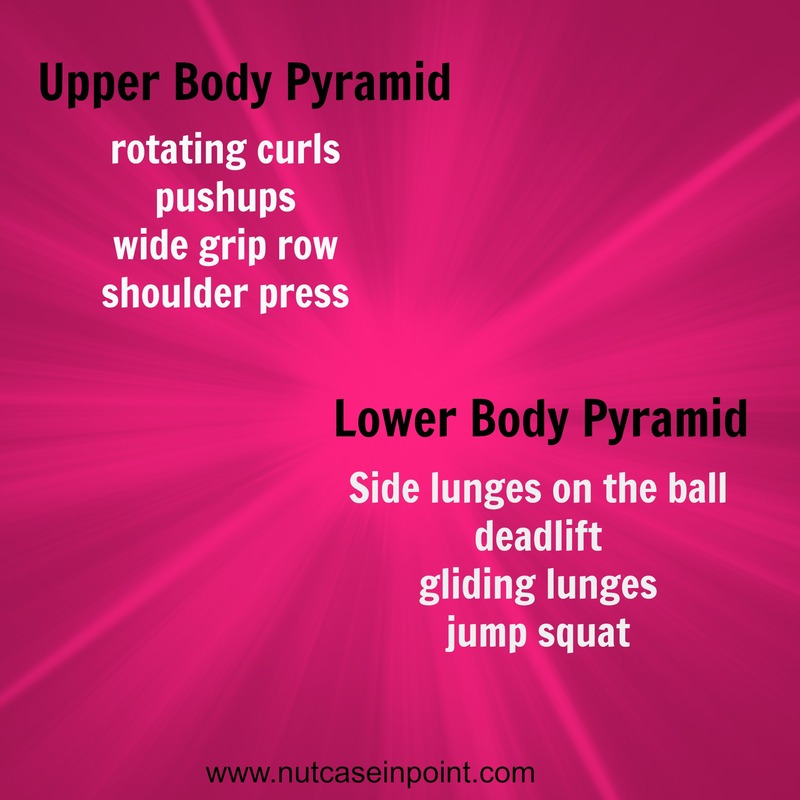 I’m also planning on a pyramid workout/outdoor run early tomorrow morning. I don’t have to go into work until noon since I’ll be staying late into the evening with some training at work. Now that you know every nook and cranny of my day, I’mma get outta here. Dont forget to go like my facebook page. Still need a ton more likes before I hit 200 so I can host a giveaway!!! If its the parking lot I’m thinking of, I hate going up there too (every time kev and I go to see a show its a disaster and the construction does not help one bit) I should steel your pyramid workout, I’ve been way too lazy this week! Keep the posts coming, and honestly whatever you want to post about! Haha, I slept last night too! I haven’t had a good nights sleep in DAYS (feels like years) and it’s been really messing with my emotional wellbeing. I always feel so crazy when I don’t get at least 7 hrs of uninterrupted sleep. I always liked seeing your weekly moves because they inspired me to change things up from my norm. I also miss Winesday Wednesday. Just saying! might have to look into bringing those back..perhaps not weekly, but every once in a while! I feel you! I hate it when my workouts are interrupted. That happened to me one time. I was going to attend yoga class but I couldn’t find a parking! I ended up going home too! Argh!